You shouldn’t have to share your yard with pests. The best way to eliminate pests from your yard is with professional treatment. Nutri-Green’s perimeter pest control service in Tulsa targets pests at the source, keeping them from invading your property and harming your family. As a locally-owned and operated company, we pride ourselves on providing excellent service…and our customers agree! With over 75 reviews, we’ve maintained a 4.9 overall rating online. 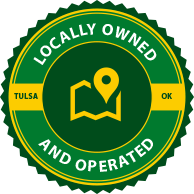 Our reputation is built on offering the highest quality lawn care and perimeter pest control in the Tulsa area. With over 15 years experience keeping properties pest-free, our highly-trained technicians use eco-friendly methods and products to keep your yard and the people and pets you love protected. One of our highly-trained and friendly exterminators will thoroughly inspect your property’s exterior and locate current or potential pest invasion areas. We then begin safe and effective treatments around the perimeter of your home to destroy and prevent pest infestations. Every 30-45 days from April to October, we return to your home to perform regular treatments on your property’s perimeter to ensure pests stay away. Nothing is worse than feeling out of the loop. That’s why we make a special effort to keep you updated on our findings and progress. 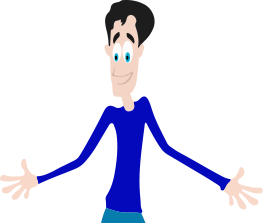 We create a personal account for you online and give you access to it 24 hours a day, 7 days a week. Our team updates your account with notes on the condition of your yard and treatment applications, so you’ll never have to wonder where you stand with Nutri-Green’s perimeter pest control in Tulsa! Our Tulsa mosquito control options are ideal for commercial as well as residential clients. With insecticide aimed at stopping adult and mosquito larvae in their tracks, our treatments can ensure you relief now and into the future. Barrier Protection Plan: As our most popular plan, this treatment kills insects on contact and disrupts breeding cycles. We work with you to provide multiple treatments from April to October, building a protective barrier around your property. Lawn Guard Protection Plan: This cost-effective treatment plan is for the family tired of getting bitten by something outside. This pest control in Tulsa solution protects you and your loved ones from mosquitoes, fleas, and ticks all at once. Special Events Protection Plan: This timely plan ensures mosquitoes aren't invited to your outdoor special event. This Tulsa pest control plan includes 2 treatments for extra safeguarding of your event. No matter the time, mosquitoes are always annoying and dangerous at home. With Nutri-Green mosquito treatments in Tulsa, your worries can be left in the past. Partner with us for our professional "rain-guard" application, which protects anti-mosquito applications against rain and keeps you mosquito-free in Tulsa no matter the weather. Timely and consistent treatments - Starting from our first visit, our flea and tick control specialists will spray your lawn and it’s surrounding area to eliminate the flea and tick population living around your home. Proactive treatments to keep your yard liveable all year round - Fleas and ticks both seem to prefer warmer weather, making the change of seasons a critical time for effective proactive treatment. By treating your yard before fleas and ticks become a problem, we can keep your outdoor spaces liveable and ready to be enjoyed by your family and friends no matter the season. 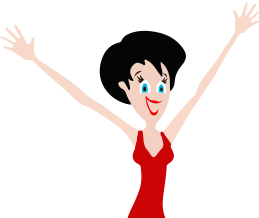 A satisfaction guarantee - As a locally owned and operated company, your happiness is our number one priority. If you aren't satisfied with our work for any reason, give us a call and we’ll send someone out to make it right. If you’re ready to get back to enjoying your lawn again, give Nutri-Green a call at 918-322-5757 today! Our employees meet rigorous standards that ensure you receive excellent service. Prior to employment, each of our team members undergoes a background and reference check. Once on board, every employee attends Nutri-Green University, which prepares them with the most current and effective tools they need to do the job. 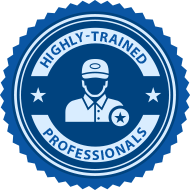 This in-house training program exceeds all state and federal requirements, so you can be sure you can trust our team with your pest control needs. As if that weren’t enough, all of our technicians are QualityPro certified by the National Pest Management Association, an industry organization committed to protecting public health, food, and property. 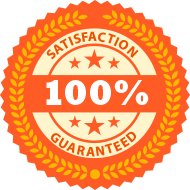 We want you to be delighted with your perimeter pest control service, which is why we offer a 100% satisfaction guarantee. If an issue arises, we will quickly respond, and return as many times as needed to address the problem. If you’re still not happy, we will refund the cost of your last treatment! Keep pests out of your yard. Save $30 When You Refer a Friend! Save cash with our Friends and Family Referral Program! When you refer a friend and they sign up for our 7-Step Lawn Care Program, both you AND your friend will receive a $30 credit to your accounts. There is no limit. 10 referrals = $300! When you purchase a complete perimeter pest control program, you will receive $25 off your first service!